Many athletes, bodybuilders, and fitness enthusiasts include music in their workouts. From an observer’s point of view, it may seem as though music just adds a pleasant stimulus to strenuous activities and increases motivation. Indeed, gym buffs and athletes have different reasons for playing their favorite songs while working out. And experts agree that you should crank up the tunes when exercising. Music serves as a good distraction. Not that all types of distraction are good when you’re working out, but music is one type that allows you to perform more. It’s a good distraction, one that keeps your thoughts away from the difficulty or monotony of the exercise itself. This is good, especially for beginners, who can enjoy their routines with music. Exercise alone can be hard, irksome, and boring. Uptempo songs are good for your performance. People who are doing cardio workouts should listen to uptempo songs. The fast beats do not only distract your brain but also prompts your body to move faster in response to the beat. Faster movements burn more fat and tax the muscles more for that post-workout burn. Music gets you in the mood. Most people have certain types of music that perk or lift them up or just make them alive and awake. This is preference-based. Meaning, you go play your favorite songs for your warm-ups. This sets you in the mood for an otherwise dreary workout. You can time your workouts. Whether you’re doing strength training or classic fat-burning circuits, you need to time your workouts properly for optimum results. When you listen to songs, you can time your sets in such a way that you start at the beginning of the song, for instance, and then rest at chorus, and continue at the next verse. Music beats excite your brain. Music stimulates your brain. It wakes it up! Basically, you need that “waking up” when you’re about to do warm-ups before hitting the weights or doing HIIT. This is great on days when you just don’t feel like you’re up to it. Unless you’re sick, there’s no excuse for skipping workout on your workout days. Play your music and get in the mood. You don’t get tired easily. Sometimes exhaustion is a state of mind, not a neuromuscular condition. Music can help you beat the premature exhaustion during workouts that cause people to under-perform and not see results. Maybe you don’t like working out really. Maybe you don’t like the exercises you’re performing. Playing good music can help you deal with the negative attitude you have towards getting fit. Music may distract some people in a bad way. Perhaps they hate the music you’re playing or they don’t like working out to music generally. Consider listening to music on some good exercise ear buds if you’re working out in a public gym so that you won’t bother other people. 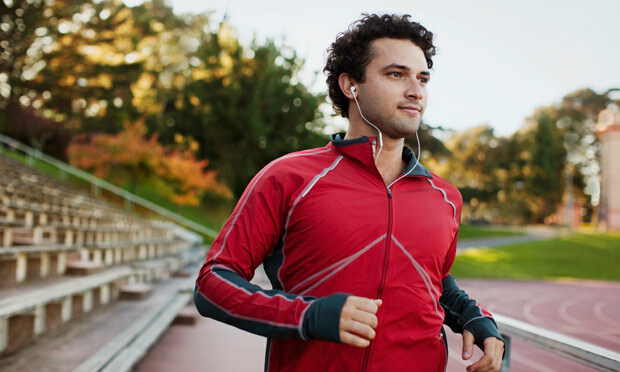 Music may have different effects on fitness buffs. If it works for you, if it motivates you and enhances your performance, continue listening to your favorite songs. If not, then continue doing what you’re doing.